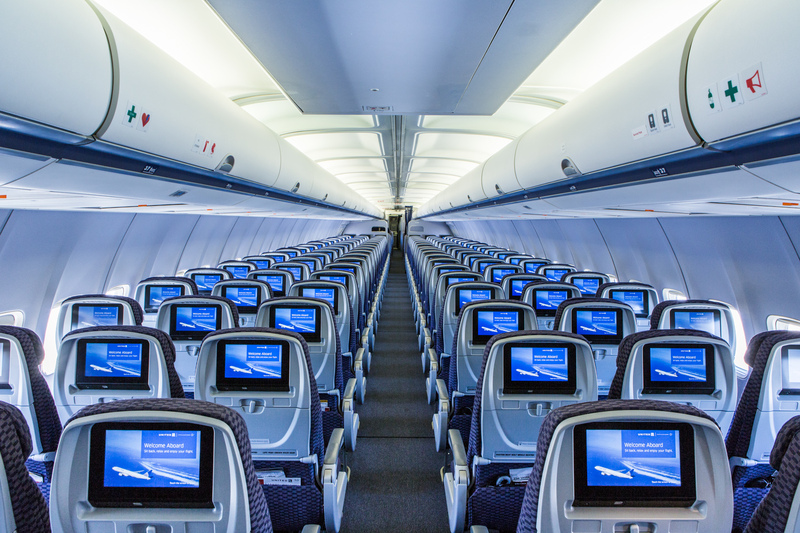 modern interiors with in-flight Wi-Fi and personal on-demand entertainment with individual seatback monitors and power ports for customers in every row. With the addition of p.s. service at Newark Liberty, United customers flying on transcontinental flights to and from Newark in the BusinessFirst cabin will, for the first time, enjoy flat-bed comfort for their entire journey when connecting to and from flights across United’s extensive trans-Atlantic and trans-Pacific networks. 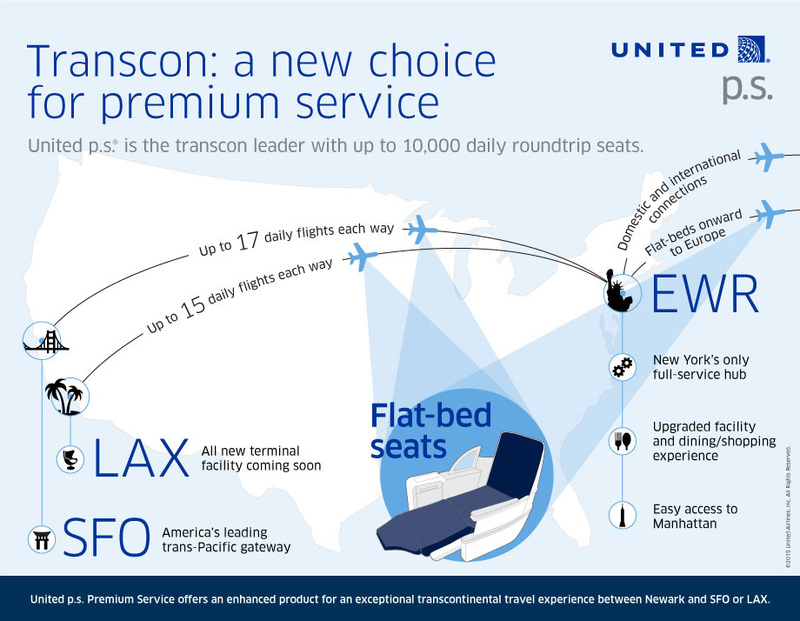 United will cement its role as the leader in transcontinental flying with more than 1,250 daily flat-bed seats – the most in the New York market – and a 44 percent increase in flat-bed seats year-over-year. The airline will fly up to 17 daily round trips Newark–San Franciscoand up to 15 daily round trips Newark–Los Angeles, leading the industry with a total of up to 10,000 round-trip seats offered per day on the two combined key transcontinental routes. Manhattan business travelers, particularly those who work on Wall Street and throughout lower and westernManhattan, enjoy easy access to Newark Liberty, the most convenient of the three New York-area airports. While at Newark Liberty, p.s. customers will have access to the New York area’s best airport experience. 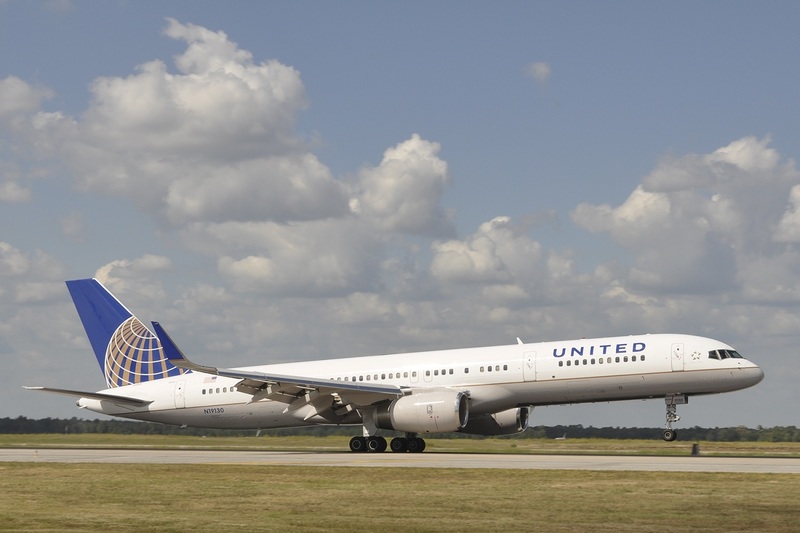 The company also announced today that it is making a multi-million dollar investment to renovate United’s Terminal C lobby and to bring its new airport lounge design concept to all United Club locations at Newark Liberty. United already has invested more than $2 billion to build a world-class gateway at Newark Liberty where, with its airport partners, the airline is offering chef-driven restaurants, redesigned lounge-like gate areas and improved United Club locations. At Newark Liberty, the airline offers a full range of premium services, including a new United Global Services reception lobby for its top frequent flyers, offering personalized check-in and travel services to members of the airline’s invitation-only Global Services program and to customers traveling on long-haul international flights in United Global First. United also offers its Mercedes-Benz tarmac transportation service, and when feasible, representatives meet Global Services and United Global First customers with applicable itineraries who may have tight connections and will drive them across the tarmac to their connecting flights. With its launch of p.s. services at Newark Liberty, United will cease operations at Kennedy International Airport on Oct. 25. United has entered into two separate transactions: Delta Air Lines plans to acquire United’s JFK slots, and United plans to acquire slots from Delta in Newark. Each transaction is subject to regulatory approval. United’s p.s. Premium Service offers transcontinental travelers the features and comfort of long-haul international flights. Customers enjoy modern aircraft interiors with all-new seats, inflight Wi-Fi, free personal on-demand entertainment at every seat, in-seat power and USB ports. pre-departure beverages, hot towel service, multi-course meals and a pre-arrival snack.